I have had different reactions to the recipes I’ve checked off the list thus far. In some cases I’ve been underwhelmed, (I’m looking at you, curry chicken). In other cases, I have been pleasantly overwhelmed by the results (beef wellington! Chicago Pizza!). But polenta left me just whelmed. In part, I blame Giada. Her Everyday Italian cookbook has three different recipes for polenta. So I figured, it has to be great. At the same time, I knew it was simple, so it wasn’t going to blow my mind or anything. 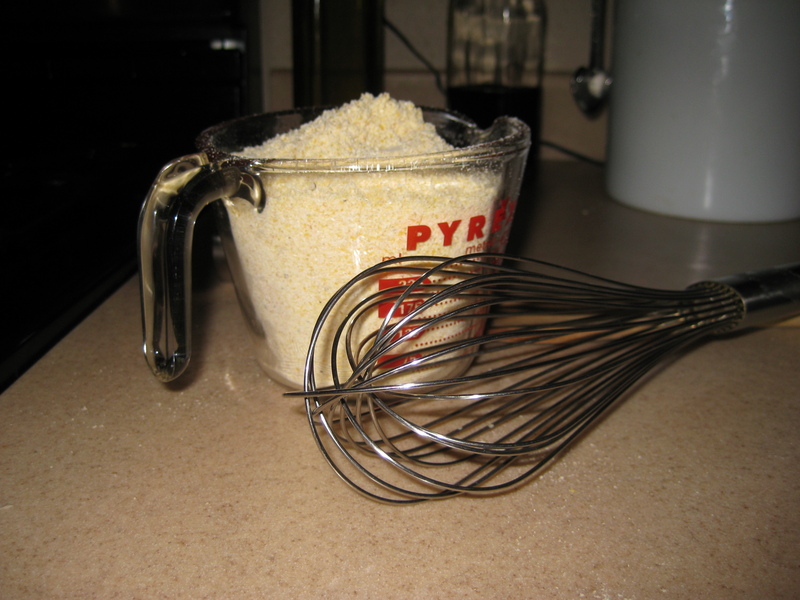 Polenta is made by continuously whisking cornmeal and water over heat until its soft and thickened. I remember watching this special episode of Iron Chef America where Mario Batali was on a team with Rachel Ray. 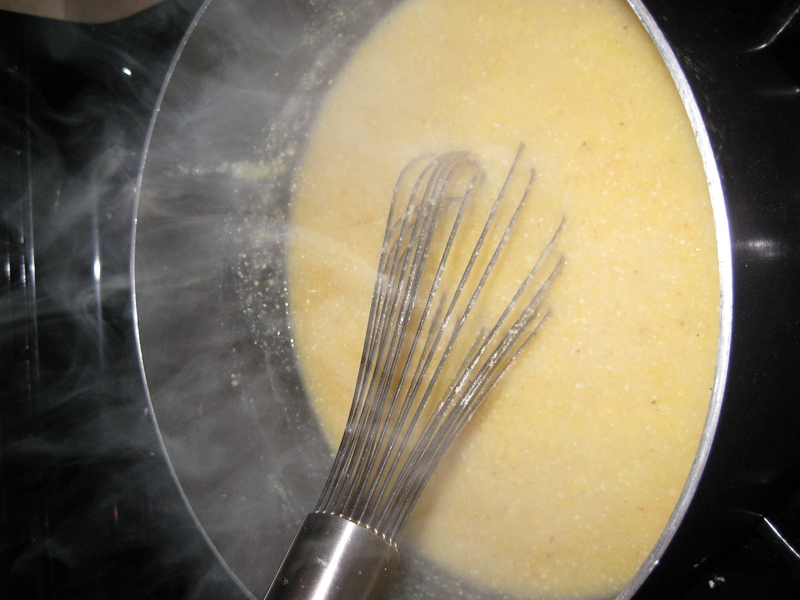 One of their menu items was polenta and Rachel Ray was confined to a single burner, endlessly stirring for the better part of the episode. I found this strangely gratifying. Anyway, you stir and stir and stir and cook until the cornmeal is tender. Once cooked, I added cream, butter, and Gorgonzola cheese since I was serving as sort of a potato substitute alongside steaks with balsamic vinegar. Stir to melt the cheese and that’s it. We did determine that my polenta undertaking cost about $1.00, so I guess polenta has that going for it. The low cost endeavor is a sharp contrast to this weekend’s Crown Roast Affair (ahh, a clue!! ), which requires some investment. Apparently I also decided that investment = a title: A Crown Roast Affair. Sounds very cosmopolitan. p.s. Bonus points if you know the movie source of today’s blog title!